It’s application season! We know that managing a calendar of deadlines for colleges, scholarships, and regular school assignments can be rigorous, especially when you’re not sure exactly what will happen after you hit the submit button. How will a scholarship help you achieve your goals? Beyond money for tuition, are there other opportunities it can provide? Will you even care about it after expending so much effort into crafting the perfect essay? We went straight to the source and found what recipients of our College Scholarship Program had to say about the best rewards of being a Cooke Scholar. #Gradoftheyear #ElonUniversity #ElonGrad. After graduation I am working at a PR Firm as a summer fellow and will begin grad school at Howard University in the Fall. My advice to underclassmen in DC-stay focused in school because the world has so much to offer you if you do!!! Also apply for The College Success Foundation DC, The Jack Kent Cooke Foundation, The Abramson Foundation, ScholarCHIPS, The Hispanic College Fund, LearnServe International, Operation Understanding DC and any other scholarship or awesome programs in DC for DC/DMV students 🙂 @dc_showoff @prmsngftres and please follow @scholarchips Remember #Thetasselisworththehassle ? 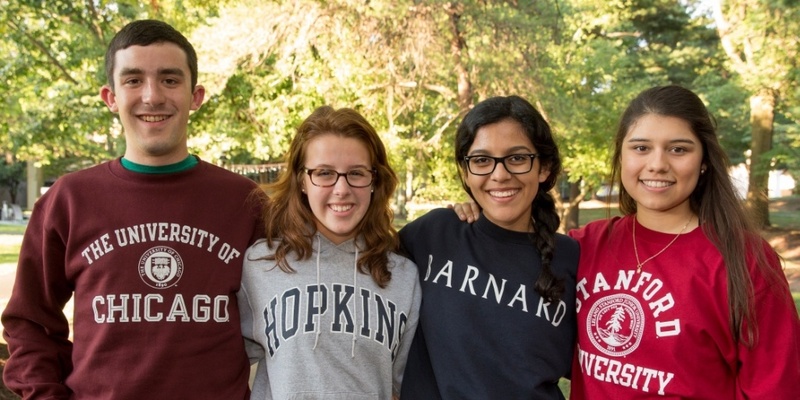 You can be a Cooke Scholar too! We’re looking for high school seniors who think big, work hard, and achieve. Your ambition could be worth up to $40,000 for all four years of college, with internship stipends, study abroad opportunities, and $50,000 each year of grad school. Applications are due November 3, 2015, so get started now!